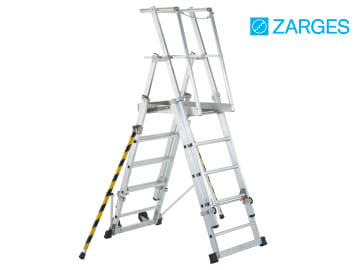 The Zarges ZAP Access Platform is a telescopic platform for working at a height of up to 4.30m, which is developed according to the latest EU Directives for working at heights. 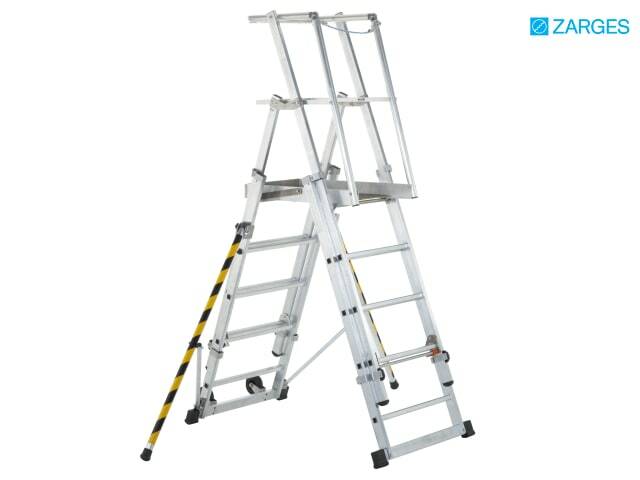 The platform has a large standing surface (665mm x 440mm) with guard rail and knee bar to ensure maximum work safety and comfortable standing. 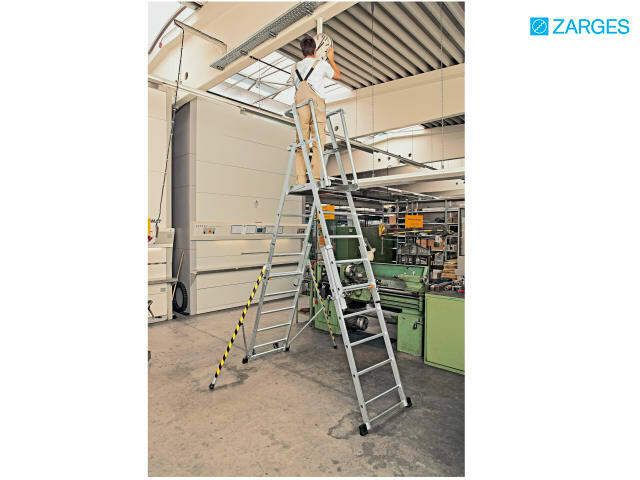 It has simple height adjustment according to the push-up ladder principle, thus different heights can be obtained with only one work platform. The platform complies with EN 131, even without stabilisers thanks to crosspieces on both sides. The swing-out stabilisers provide additional stability, to BGI 637. 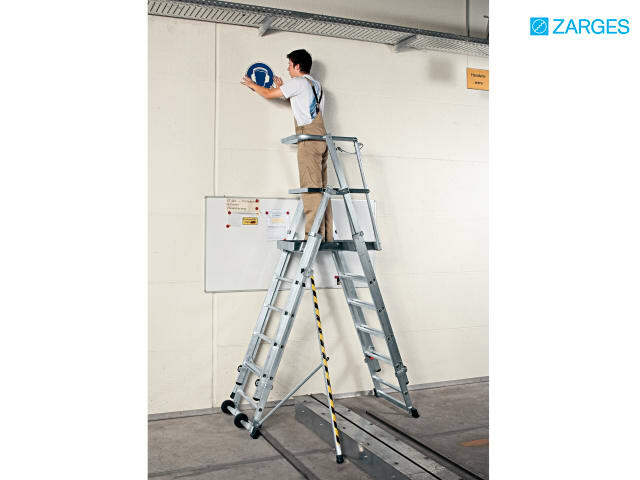 Wheel assemblies enable the access platform to be easily pushed, even when erected. The platform is very easy to erect, with handrails and guard rails automatically unfolding. When folded, it is compact, allowing easy transportation and storage. 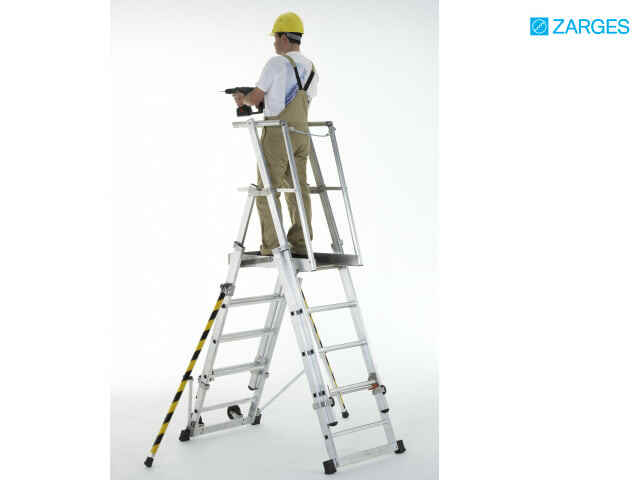 High-strength ZARGES quality flanged connection between rungs and stiles improve durability, and replaceable 2-component plastic end caps ensure positioning without the risk of slipping. Complies with new European standard DIN EN 131-7, with a 150kg rating.